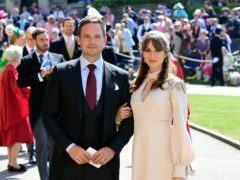 The royal wedding boosted ITV’s ratings as it was watched by three million people, more than trebling the channel’s late-morning time slot. 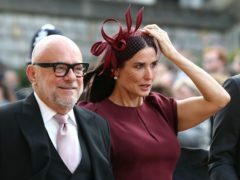 Demi Moore has joined Instagram, and used her first post to give a run-down of her outfit for the royal wedding. 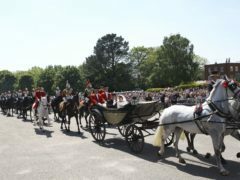 ITV’s coverage of the royal wedding received a mixed response from viewers – with some annoyed that they were missing out on Jeremy Kyle. 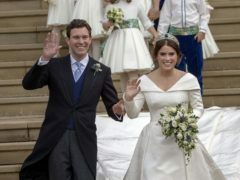 Princess Eugenie’s marriage to Jack Brooksbank was trending across social media as #RoyalWedding throughout the morning, but some moments caught the world’s attention more than others. 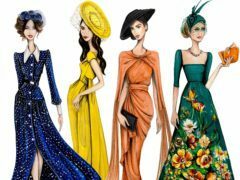 Cara Delevingne broke with convention as she wore a top hat with a suit to the wedding of Princess Eugenie and Jack Brooksbank. 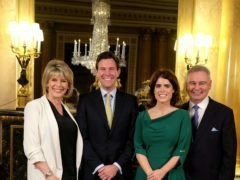 ITV’s royal wedding presenters Eamonn Holmes and Ruth Langsford disagreed on how to pronounce Princess Eugenie’s name before their coverage of the nuptials began. 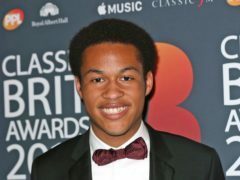 Sheku Kanneh-Mason, the cellist who played at the royal wedding in May, has become the first artist to receive the new Brit Certified Breakthrough Award. 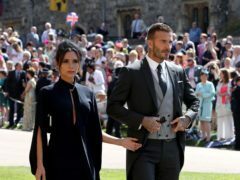 David and Victoria Beckham are donating the outfits they wore to the wedding of the Duke and Duchess of Sussex to raise money for victims of the Manchester bombing. 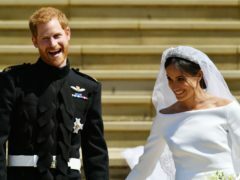 Ratings for the royal wedding of Prince Harry and Meghan, Duchess of Sussex were a third lower than those for the marriage of Harry’s brother William, new figures show. 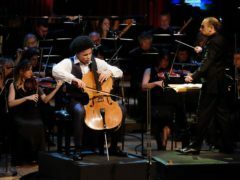 Teenage cellist Sheku Kanneh-Mason has enjoyed a massive increase in global streams after his moving performance at the royal wedding, Spotify has said. 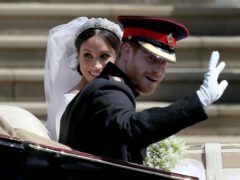 The royal wedding was a hit with TV viewers – smashing records for the year so far. 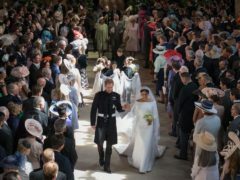 The royal wedding attracted a peak of more than 13 million viewers on BBC1. 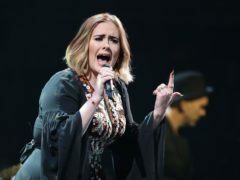 Adele remembered Diana, Princess of Wales in a poignant message to the new Duke and Duchess of Sussex on their wedding day. 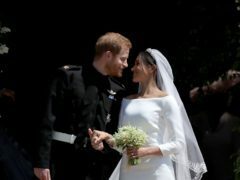 Actress Priyanka Chopra has praised newlyweds Prince Harry and Meghan for organising a ceremony which stood for “change and hope”. 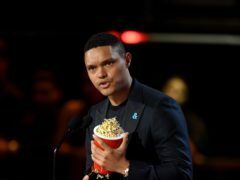 Comedian Trevor Noah has heralded the quoting of Martin Luther King at Prince Harry and Meghan’s royal wedding. 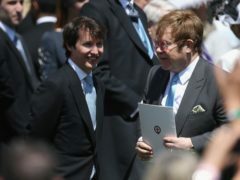 James Blunt made it to a show in Estonia just hours after he attended the royal wedding. 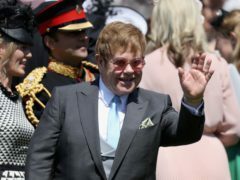 Sir Elton John has performed at Prince Harry and Meghan Markle’s lunchtime wedding reception. 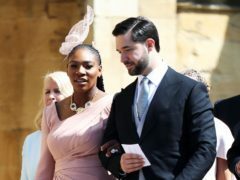 Celebrities have been shedding “tears” over the royal wedding. 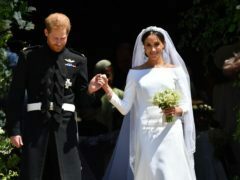 Adoring fans in Meghan’s hometown of Los Angeles wept tears of joy as they packed into a bar to watch the wedding of the new Duke and Duchess of Sussex. 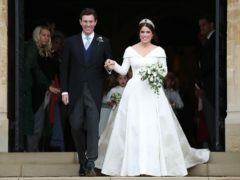 Holly Willoughby slipped her wedding dress back on to watch Meghan’s big day.